Desktop or Laptops have rather a become part of our personal and professional life. We use them for entertainment and also for many other purposes. We are now dependent on computer for many different task like we use internet, play games, entertainment, work and more. So due to all these sometimes our device get slow down in speed. So we recommend to read about Make Laptop run faster. Usually we store data in computers of multiple type. Due to huge amount of data is store, We need to take backup or we want to transfer them from on device to anther. So use USB devices to exchange data between computers. These drives are compact in size and also offer large data storage capacity. USB drives are plug and play drives and has more life than CD’s and DVD’s and also provide re-writable features. As we Know USB drives are portable and used to transfer data. Normally USB have good data transfer speed but after passage of time USB get slow down then must check about increase pendrive data transfer speed. USB pendrive are used for data transfer. We can even perform various other task with pendrive like we can use pendrive as ram. Traditionally we CD or DVD disk for installing Now we can easily make bootable pendrive for windows. Sometimes we need to keep our information secret and protect our data from misuse by others and remain safe. In this article We explain the methods to protect usb pendrive with password. How To Protect USB Pendrive With Password. Steps To Protect USB Pendrive Using BitLock. 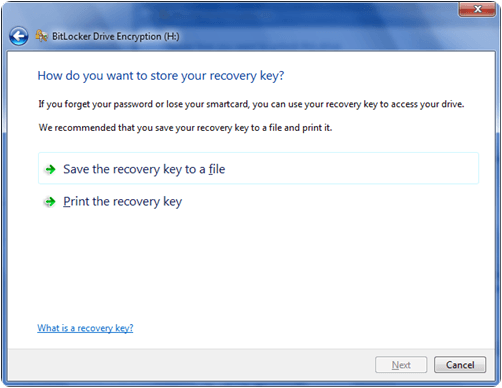 Method 2nd:- Wondershare USB Drive Encryption. 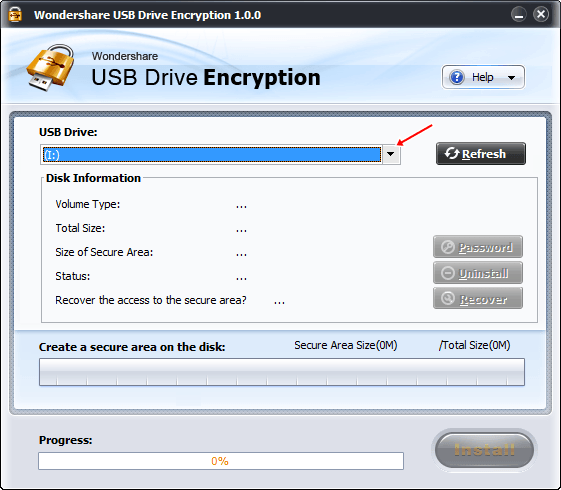 Steps To Encrypt USB Pendrive Using Wondershare. 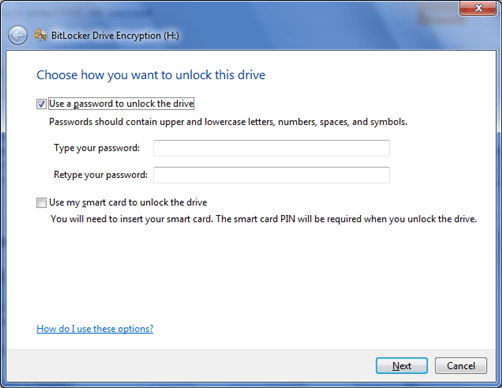 Bitlock Encryption is the manual method provided by Windows to protect our USB drive. 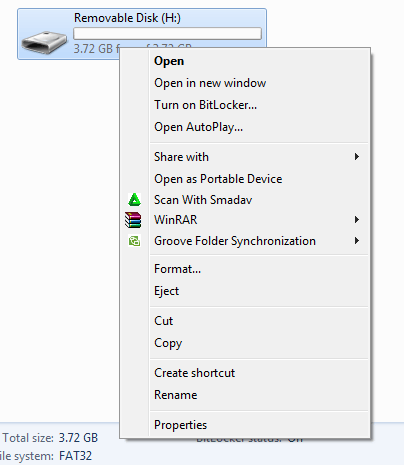 Each time you insert the pendrive you have to enter the bit lock to open the pendrive and access the files. Step 1. Insert your USB into Computer. Step 2. Right click the USB drive you want to Encrypt. Step 3. Select turn on Bitlock from Menu. Step 4. Tick the check box in front of “use a password to unlock the drive”. Step 5. Click on next button after entering a password. Step 6. Next wizard is to save and print Recovery key in case you forgot your password. 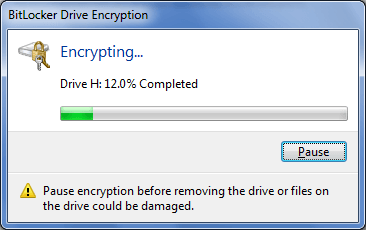 Step 7. click on next button and drive encryption will start. Step 8. After the encryption is complete click on close button. Wondershare USB Drive Encryption is software used to encrypt the USB drive and allow you to use a password to encrypt and decrypt the USB. This software allow you to make a secure area in your drive and you can also protect the whole drive. Step 1. 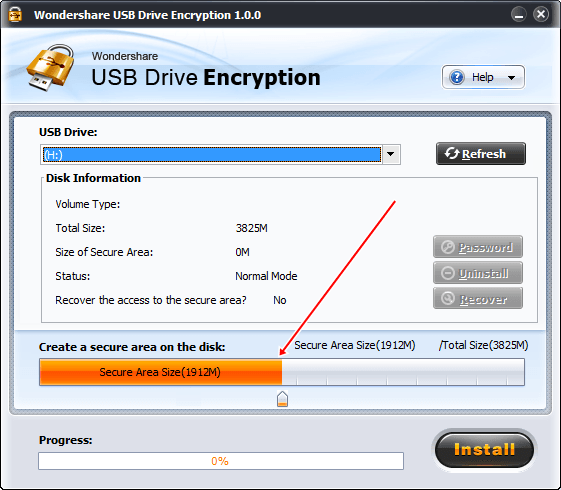 Download and install Wondershare USB Encryption software. Step 2. Double click its icon to Run the Program. Step 3. Insert your USB into your computer. Step 4. Select your drive you want encrypt from the list of USB. Step 5. Select the Amount of volume you want to encrypt and you can also select full amount. Step 6. Click on Install Button. Step 7. 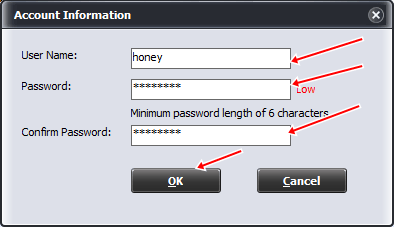 Enter a user name and Password for Encryption. Step 8. Click OK to create secure Area. Step 9. After progress click OK. Hence, these are some easiest and best way to protect usb pendrive with password. If you have any other best method to protect pendrive with password then must it with us in below given comments.